Popular bring-your-own-drive external storage company Drobo announced an update its flagship 4-bay unit Wednesday, making it faster and easier for Mac users to back up to the device using Time Machine. Using a special configuration setting, users of the third-generation Drobo can now dedicate a customizable percentage of their overall storage pool to Time Machine. That is a significant step up from Drobo's previous solution which required owners to manually partition their Drobo using OS X's Disk Utility. Time Machine backups will also take less time to complete as the new Drobo sports speedier USB 3.0 I/O. 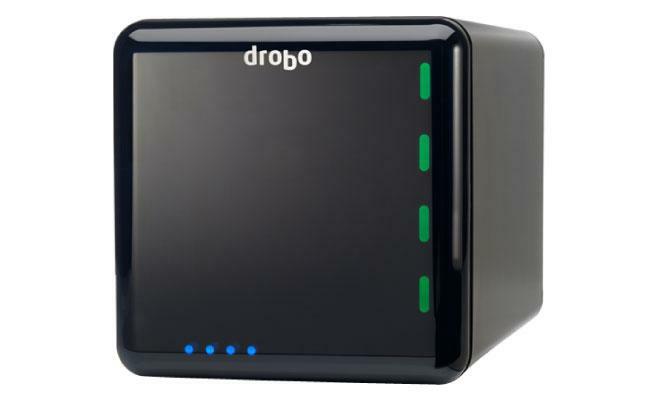 Additionally, Drobo has taken steps to enhance its data protection scheme. The unit now features a built-in battery that will continue to drive the write caches in the event of a power failure, and the array can be rebuilt four times faster than the previous-generation Drobo should a disk stop working. The new 4-bay Drobo is available now for preorder directly from Drobo for $349. Owners of first- or second-generation Drobo units can receive a $50 discount if they purchase a third-generation Drobo before June 9.